~ Here are some recipes and tips I'd like to share with you. Chicken enchiladas are so yummy. 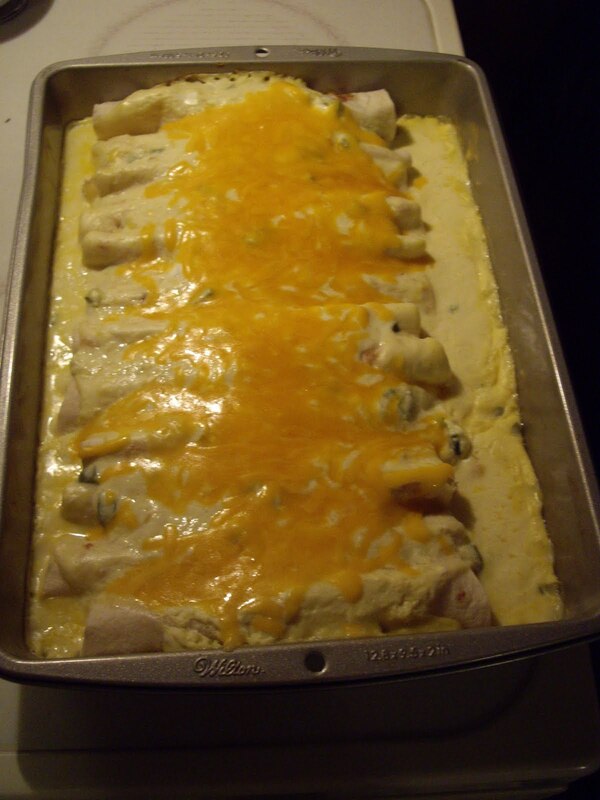 I first made these years ago when my husband asked for enchiladas. He actually wanted beef, but I could only find this recipe for the chicken variety. Now, he would just as soon have these. This makes a big pan so it is great for a big family or even leftovers later on. Bake it at 350 degrees Fahrenheit. Grease a 3 quart baking pan. In a small saucepan, cook the onion in the butter until the onion is soft. Stir in 1 Tablespoon of the chili pepper. In a medium bowl, combine the cream cheese, 1 Tablespoon milk, and the cumin. Add the chicken and onion mixture. Put about 3 Tablespoons chicken mixture along the edge of a flour tortilla. Roll up and lay in a greased 3 quart baking dish. A 9″x13″ cake pan will work. The enchiladas will fit very snugly together. Continue until all are made and put in pan. Mix the 1 cup milk, cream of chicken soup, sour cream, and the rest of the chili pepper. Cover the pan with lid or aluminum foil. Sprinkle with cheese and bake another 5 minutes until cheese is melted.